Today we experimented with using iPads in a math class. We had 3 school-owned iPads as well as one brought in by a student. Students used the Vernier Video Physics app in groups of two or three to review and investigate trig graphs. Ms. Flaherty first reviewed a couple of math concepts that the students had already reviewed as part of their homework by watching a YouTube clip. Then I demonstrated how to use the various tools built into the Video Physics app to plot the points of a sticky note as it travels around a Fisher Price Turntable, and to set the scale and change the location of the origin. From there, we handed off the iPads to the students and away they went. Find the equation of your curve. How does the equation change as you change the A.) origin, B.) scale? Students were engaged in the hands-on learning, and shared the device appropriately around the group so that everyone got a chance to manipulate the data. Students are really comfortable with iPads. They took to the app quickly and were easily able to use the gestures to perform specific tasks within the app. Investigative Math rocks. I wish that when I was learning math I had had access to the tools that students have today. Changing different variables and seeing how that affects the output helps students get a better understanding than just working out problems. Personal devices are better than school-owned devices. When the teacher asked students to send her the files this became obvious. The student who was using his own device easily emailed a few photos to the teacher because his email was already set up in the iPad's system. Web versions of email (we tried gmail) don't allow attaching files from an iPad because they don't know how to navigate the iPad file system. The work around is to either attach the ipad to a laptop and use iPhoto (or another photo app on a PC) to pull down the images, or have students enter their email info into the iPad system, send the files, then delete the account before the class ends and their email account and ipad are handed off to another student. This past week International School of Prague hosted an amazing learning event, The European Student Film Festival, where students attended workshops on story, lighting, music, digital sound, camera work, casting, and competed in a 24 Hour Film Challenge. The excitement about the event is still evident in the hallways this week as students continue to talk about what an exceptional and inspiring event it was. I was impressed by the student creativity and problem solving displayed throughout the festival, and the overall quality of films that were submitted in the regular competition as well as the 24 Hour Film Festival. I've embedded a playlist of the festival winners in this post, and here are links to the challenge films as well as the entire lot of competition submissions. We just completed a fun-filled day of collaboration and sharing with other educators from around Europe. @WendyGorton did an excellent job of sharing Google tools and facilitating discussion about their uses in schools. My favorite new learning of the day was creating a Google Search Story. Here is my attempt at promoting the new books in our ISP library. An amazing teacher and colleague of mine introduced me to an excellent way of leveraging technology for learning today. It is actually quite simple, but brilliant at the same time. Ms. Caskie's grade 9 students have been studying Farenheight 451. She assigned her students to take a character from the book and craft a monologue from the point of view of that character that they would deliver to the class acting as that character. Ms. Caskie asked students to record themselves practicing their monologue at home. She then had them record themselves when they presented to the class. Students then posted both versions on their blogs and were asked to reflect on them - comparing and contrasting - and identify skills to focus on for future class presentations. Students seemed to really buy in to this authentic self-assessment; here is an example. 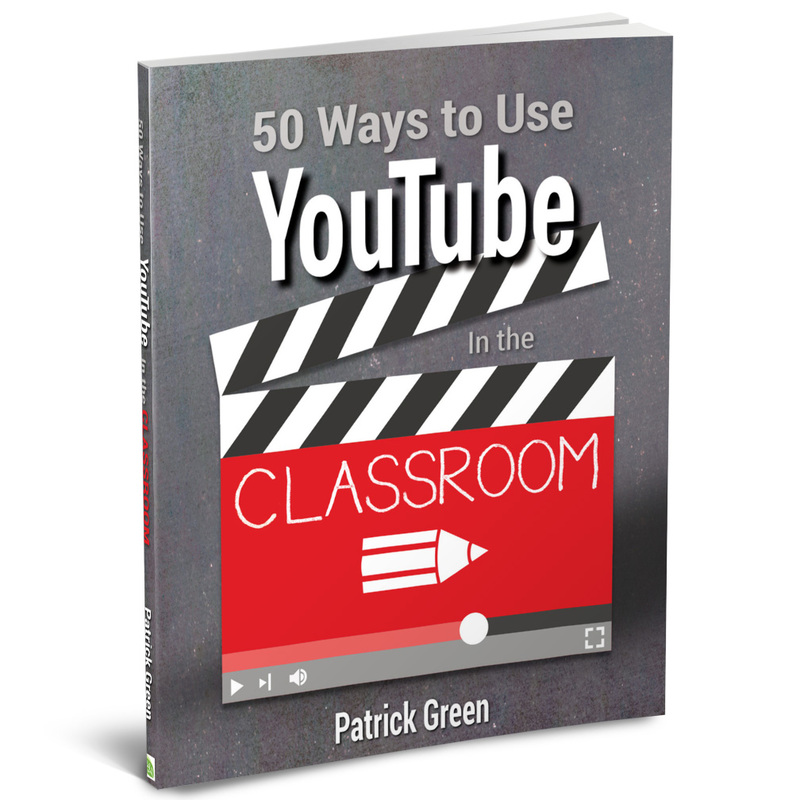 This past July I spent an action-packed day learning about YouTube in the classroom at The YouTube Teachers Studio with fantastic lead learners, Jim Sill, Ramsey Musallam and James Sanders. We heard from Will Houghteling about what the YouTube Education team is cooking up. One of their goals is to find a way to give access of the great educational content that exists on YouTube to the teachers and students in schools where YouTube is currently blocked. They have a number of good ideas in the works. Today they launched YouTube.com/Teachers to support teachers with ideas for using YouTube in the classroom complete with examples and screencasting tips. Additionally teachers can sign up for the YouTube newsletter for teachers and submit their favorite YouTube playlists to be highlighted on YouTube EDU. You can read more about the launch on YouTube's blog and view my interview below. The Google Teacher Academy is coming to Seattle this summer. Only 50 educators get to participate. I sooooooooo hope to be one that gets invited. There are sure to be opportunities to connect with likeminded educators committed to continually learning, risking, and sharing. I've given it my best shot; my application has been submitted and my application video (on motivation and learning) posted online (and below). The waiting begins. I was a bit surprised to hear that in our Upper School we assign homework over the summer. It is usually to read a novel for an English class or something similiar, but still, I was surprised. It is part of the culture here though, and it is difficult to argue with anything that supports the notion of "always learning." At a faculty meeting the other day, I was assigned some homework of my own. Our Director, Dr. Bieber, suggested we pick one of the "strands" under umbrella of school improvement, skim a few and then read one closely. I've posted the list below (compiled by Dr. Bieber, Mr. Mobbs and Mr. Helmer with links where possible as it looks like a provocative list of reads that will spark some discussion at the start of the 2011-12 school year. 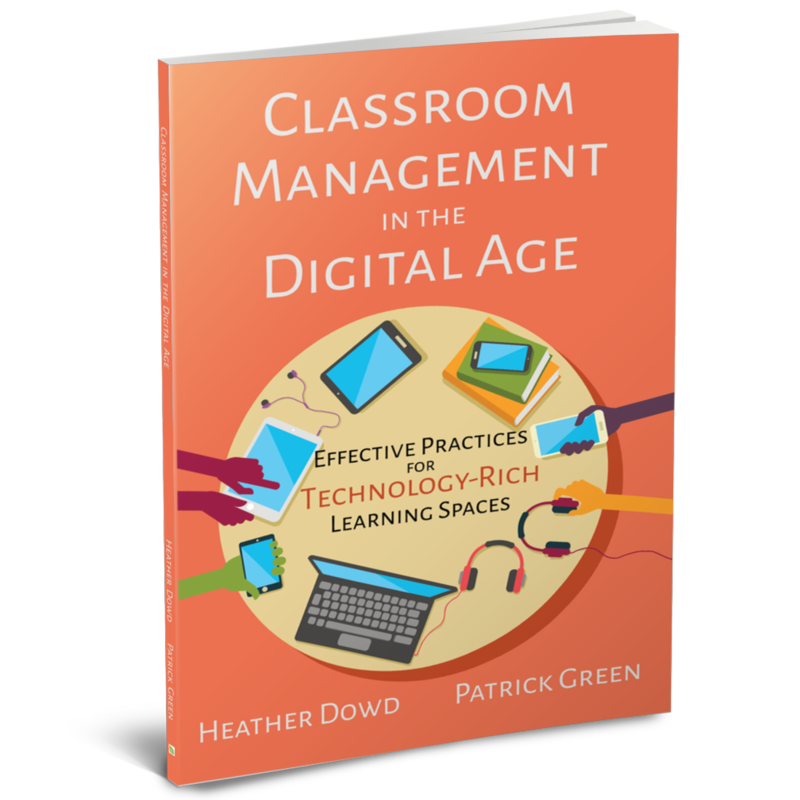 Teachers need to become better at letting go and letting students own the learning. Let students demonstrate their knowledge in different ways - some they are comfortable with, and some they are not. In group work, students might go off in the wrong direction, but there is learning happening as they correct their course - learning that the teacher could not have planned for. The power of group learning is underrated - Groups of students can achieve greater heights than individuals. Given a problem with very little direction on how to solve it students will amaze you with their problem solving skills, often utilizing tools and techniques that the teacher might not have thought of. There are many different approaches to powerful learning and as teachers we need to be offering our diverse learners different ways of learning and demonstrating learning. There is a struggle (that enhances and consolidates learning) when you have to demonstrate learning in a way that you are not comfortable with. Lastly, I would like to thank John Davitt for his thoughtful insights, his energy and generosity (he is leaving us with some copies of the Learning Score, which I will write more about later) . I would encourage any school out there to bring John to your campus if you have a chance. You can learn more about John Davitt at his blog, his website or on twitter. A colleague recently sent me a link to this article about how a Facebook intern mapped out the relationships of ten million pairs of friends. My first reaction was to note its beauty. But then I started thinking about how it might be used in a Geography or other social studies class. There are actually quite a few things you can learn about geography, population and even politics from looking at this. Depending on the age of your students, you could put this image in front of them and have them come up with observations and/or questions for further exploration. Or, maybe you have to give them some prompts such as: What does this image tell us about the geography of Canada or Australia? Where did China go? etc. I'm sure there are plenty of educational uses for this image that I'm not thinking of. If you have an idea, please share your thoughts in a comment on this post. For a larger-than-full-screen view check out this post on Gizmodo, and for more about the process and data visualization check out this page on Facebook. Quizlet, the popular online flashcard creation site, now allows you to embed your flashcards onto your blog or website. This is a really nice enhancement for an already useful technology. I've embedded a sample below, which I need to study. Perhaps by putting it on my blog I might actually find myself learning all the European capitals; one can hope. This post was originally created for use with students responsible for creating a digital story, and was cross posted at blogs.isp.cz/usit Technology Integrators, please feel free to use as you see fit (according to the CC license on this site). As soon as you take a photo you own the copyright to that photo. The same is true for when you write a poem, or an essay, record a song or create a piece of art. You own the copyright to that work and no one else can use it without your permission. The same is true for images on the internet: somebody owns the copyright and you cannot use the image unless you have permission. There are images that are free to use that fall under Public Domain, which means that the copyright has been forfeited or the copyright has expired, but we won’t be addressing these at this time. The other type of image that you can use are Creative Commons licensed images where the author has already given you permission to use their work. The author/or creator uses a CC license to give you this permission, however you must follow the rules they set out for you. Often all that they require is that you give them credit by name and share your work with the same license that they used. Google’s advanced image search allows you to narrow your results to images where the author has given you permission to reuse the work in your multimedia project. 1. Go to Google – Images – Advanced Search. 6. Browse the search results and click on the photo of your choice. You are taken to the original page (this is the page you will use for a citation). 1. Verify that the licensing does allow you to use the image (usually by clicking on the license information). 2. Take down the author, title of work, website link, and CC license for citation purposes. Also, there may be information on how the author/creator wants you to attribute the work. 5. Include the citation in your project. Note: If the license required you to “share-alike” then you’ll need to license the final product when you post it on the web. For more information, watch the video tutorial below.